Originally posted February 27, 2018. February is American Heart American Heart Health Month. Why does America dedicate an entire month to heart health every year? It turns out that heart disease is the number one cause of death for men and women in the US. But luckily, it’s also the most preventable disease! Your heart not only provides oxygen and nutrients to every part of your body, but it also helps detoxify your body by removing carbon dioxide and waste. And a healthy heart means a long, healthy life. 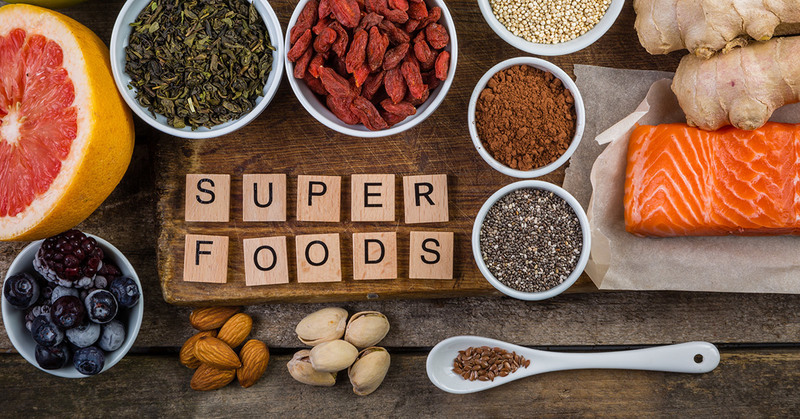 Super foods are nutrient-rich foods that help support many of your body’s organs — including your heart! Thanks to an abundance of omega-3 fatty acids, salmon can help reduce blood pressure and chances of clots. And 2 servings of salmon a week can decrease your risk of heart attack by 1/3. In a hurry? Grab a handful of blueberries. These tasty treats are as good for your heart as they are for your taste buds. Not only do they contain vitamin C which helps strengthen your heart’s arteries, but the flavonoids of blueberries even have anti-inflammatory and antioxidant qualities. There’s no better feeling than biting into a fresh, juicy tomato. Now you can indulge even more knowing that your heart is benefitting from the tasty treat. Like blueberries, tomatoes have high levels of heart-strengthening vitamin C. They also contain lycopene, which works with other nutrients to prevent cancer and heart disease. In case you needed more motivation to keep that daily workout going, exercising just 30 minutes a day can improve your circulation and lower blood pressure and cholesterol. It’s always best to consult your physician before doing any major changes in activities. Let your doctor know you would like to focus on heart health, and see what your physician recommendations for your current condition. Cardio activities are known for aiding in heart health. Try to incorporate 30 minutes walking, running, swimming or biking into your daily schedule. It’s important to work your way up certain workout routines. Be sure to do a 5-10 minute warm up, and avoid any vigorous exercises you haven’t yet trained for. Listen to your body. If you feel dizzy or nauseous, it’s time to call it quits for the day. Wear a heart monitor, and be sure to stop exercising if you experience chest pain or a sudden spike in heart rate. Excess weight increases your chances of heart disease. Calculating your body mass index (BMI) is one way to find out if you’re in a healthy weight range for your heart’s health. Your BMI isn’t 100% accurate, as muscular men and women can have higher BMI’s and not face health risks that could affect their heart. Stress has been linked to all leading causes of death, including cardiovascular disease. Learning to manage your stress could save your life. Practice mindfulness. Mindfulness is the ability to stay calm and present throughout all of life’s moments — especially stressful ones. Listen to your body during moments of stress, and take time for nurturing. 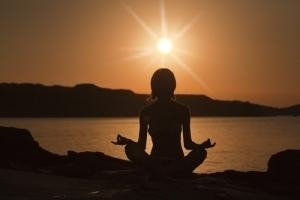 A great way to establish a stronger connection between your mind and is to engage in meditation daily. Connect with nature. We’re not meant to be cooped up inside all day, and this is proven by the many health benefits in going outside regularly. Not only do you get more Vitamin D, which is great for your liver, kidneys, and skin, but natural light improves your mood and focus! Stay committed to your purpose and passion. Putting yourself first can benefit those you love as well. Remember your life goals, and why you do what you do each day.Take time even when you’re not stressed to have fun and be grateful.Celebrate you! Catching heart disease sooner rather than later could make a life or death difference. And nothing beats the comfort of leaving a checkup knowing your heart is healthy and strong — thanks to all your hard work!